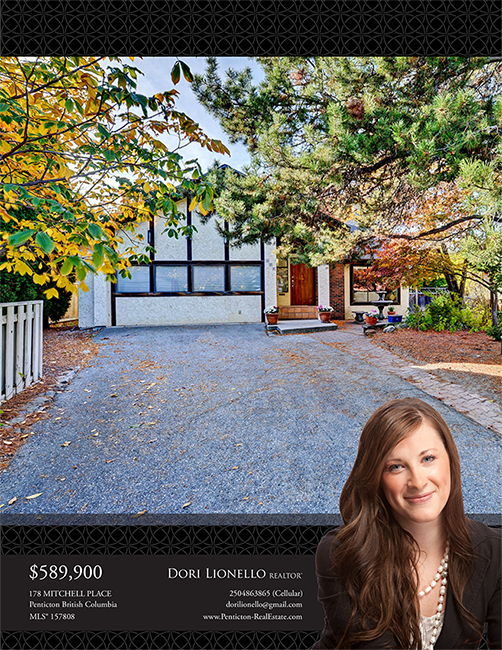 Dori meets with the top selling professionals at Royal LePage Penticton every Wednesday eager and ready to pump up her new listing and watch the momentum launch. Youtube guided home tour, homebuyers across the globe receive and exclusive experience as they are personally guided through your home from the convenience of their computer or mobile device. Offered for luxury listings. Global syndication. maximum exposure. Targeted Marketing. The key to a successful and timely sale is to quickly get your home in from of the most relevant and qualified buyers. 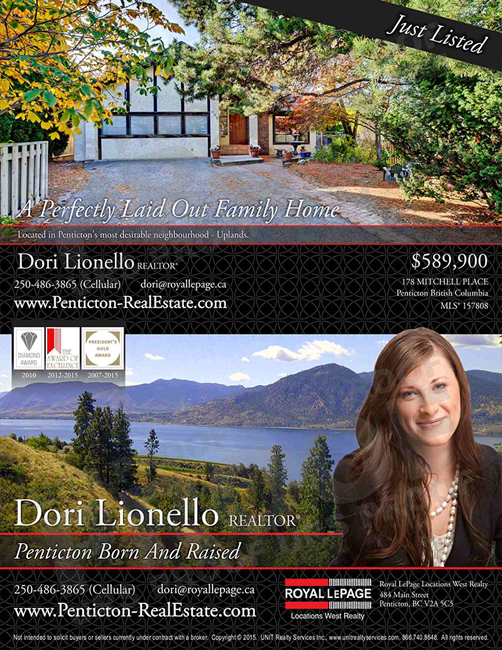 Custom property flyers. Large custom card stock style property brochures. Flyers placed inside property and given to prospective buyers. Pre-listing appraisal, for unique custom built homes, it is beneficial to obtain and licensed appraiser’s opinion of the value of your home. Offered for luxury listings. Having a solid marketing system in place is crucial to the success of selling your home, but just as important is the negotiating and organizational skills/team required to bring about an effective and timely closing. I have communication systems in place, streamlines processes and meet the most demanding of deadlines is the key to my record of successful sales. I also offer recommendations to professional lawyers who offer our mutual clients title insurance at no cost to the client. We review an offer as soon as it is received. We evaluate the best solution and negotiate with the buyers agent and come to a favorable agreement to purchase. Once the offer is accepted the countdown to closing begins. This can take anywhere fro 10 days to 3 months depending on the agreed upon contract terms, but Royal LePage has a conveyancing department that is direct communication with the lawyers and makes sure all paperwork is tidy and timely for closing.